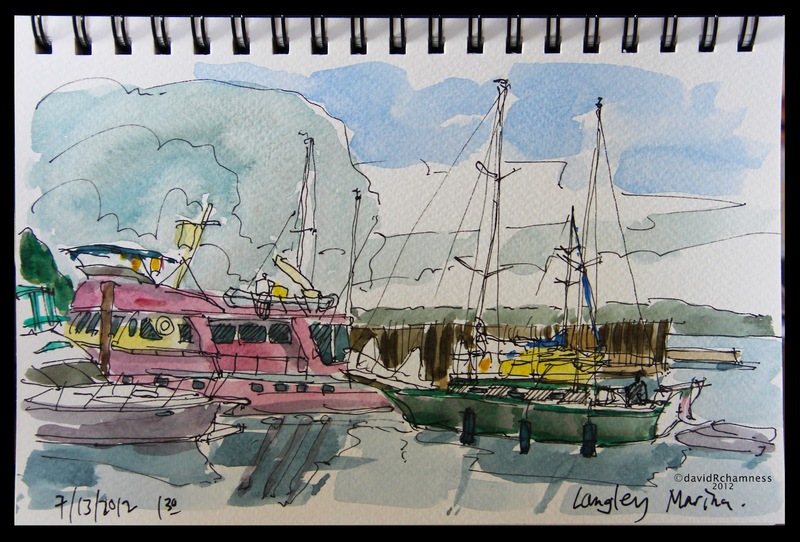 that met at the Langley Marina﻿ to sketch and socialize. I appreciate being included in their group for the day. 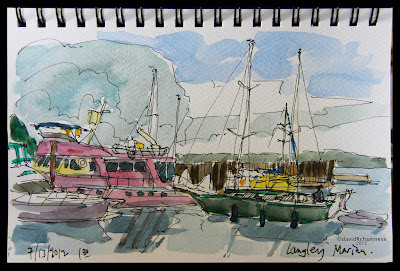 I was sitting under the dock while doing this sketch to avoid the rain drops. something on the dock above me toward the end of sketch time. laying out the sketch. I had to work quickly to remember details.